Apple iOS 9.2.1 Firmware beta build version release has been officially started for iPhone, iPad and iPod Touch devices for testing, experimenting and evaluation purpose by iOS developers and non-iOS developers. The latest iOS 9.2.1 Beta Update (Build: 13D14) is available for upgradation and installation on iPhone 6S Plus, iPhone 6S, iPhone 6 Plus, iPhone 6, iPhone 5S, iPhone 5C, iPhone 5, iPhone 4S, iPod Touch 6G, iPod Touch 5G, iPad Pro, iPad Air 2G, iPad Air, iPad 4, iPad 3G, iPad 2G, iPad Mini 4G, iPad Mini 3G, iPad Mini 2G and iPad Mini. 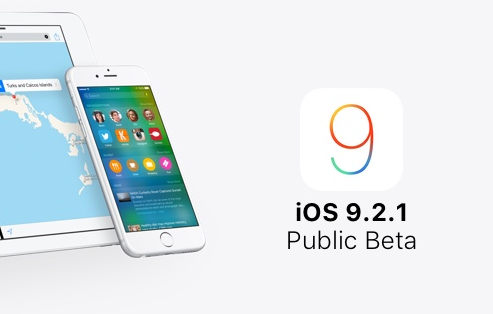 Apple iOS users can Download iOS 9.2.1 Beta IPSW Files via Direct Links appended below. Although, iOS 9.2.1 is the minor released after iOS 9.2 Firmware, but it's also contains several functionalities changes i.e. Performance Improvements, Stability Enhancements, Security Enrichments, Compatibility Melioration, and Bug Fixes. Team 25PP, PanGu and TaiG is working hard to quickly brings Untethered iOS 9.2.1 Jailbreak for customers running latest iOS versions without Jailbreaking and Cydia Tweaks. If you're still using an out-dated old iOS Firmware on your iOS smartphone or tablet device, then instantly head-over to Settings > General > Software Update option, for iOS 9.2.1 Beta OTA Updates. If you're an iOS developer, then you can visit Apple's iOS Developer website for free iOS 9.2.1 Beta Downloads. If you're general public user, then you can still download iOS 9.2.1 Public Beta via Apple's Beta Software Program website. All iDevice users can install and free activate iOS 9.2.1 Beta without developer account UDID using iTunes without any problem.